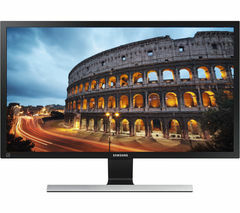 Buying the right PC monitor for your needs is important given the number of sizes, models and specifications on offer. Whether you’re needing an extra screen for your spreadsheets, or you’re a designer looking for a high spec display, our range will have the right computer monitor for you. Prices for the smaller models start upwards of £50, giving you great value for money and a practical product. The majority of smaller models start at 21.5”, which is usually enough for most people’s business and leisure needs. If however you’re looking for a larger PC monitor then you can move up to a screen size in the mid 20’s, all the way up to a 40” display. The higher spec screens, such as our range of Acer PC monitors, offer greater resolution and in many cases a full HD display. 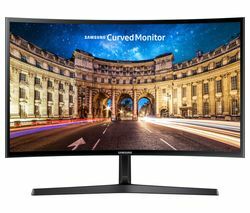 If you’re buying your computer monitor for gaming purposes then you’ll want to pay attention to the response time, as the quicker the response time the better and smoother the display, which is crucial for fast moving action. If you’re researching screens as part of a whole desktop computer build then check out our entire desktop PC range for the best PCs available. Again your needs will determine the PC you’ll want to select here, ranging in price from the low hundreds for great desktops into the thousands for the best of the best. Whether you’re looking for a new monitor for your office or home or building a whole PC, our range has you’re looking for.